There were 719 press releases posted in the last 24 hours and 153,528 in the last 365 days. 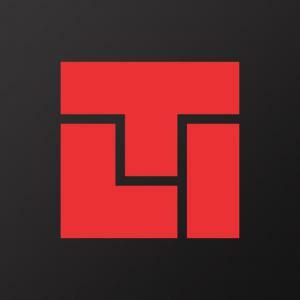 CLARK Material Handling Company awards Tri-Lift NC Inc with additional territories to provide customer support. 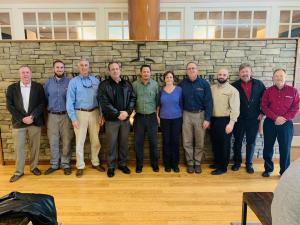 CHARLOTTE, NORTH CAROLINA, UNITED STATES, December 5, 2018 /EINPresswire.com/ -- CLARK Material Handling Company announced today that Tri-Lift NC, Inc. has expanded its Dealer Coverage in South Carolina to include the counties of Abbeville, Aiken, Allendale, Bamberg, Barnwell, Calhoun, Edgefield, Fairfield, Greenwood, Lexington, McCormick, Newberry, Orangeburg, Richland and Saluda. “Tri-Lift NC, Inc. is a family business that has been providing industry-leading customer support and service for CLARK in Greensboro, NC. since 2006. Their commitment to quality and growth has allowed them to open additional operations in Raleigh, NC., Charlotte, NC., and Greenville SC. We are pleased that Tri-Lift NC, Inc. will be able to provide additional support to our customers in the South Carolina market,” said Dale Guckian, Director of Dealer Development for CLARK. The primary contact for Tri-Lift NC, Inc. in the additional markets is Bobby LaBoone (operations manager) and he can be reached at (800) 929-0561 or by email at blaboone@tri-liftnc.com. The dedicated territory manager for that area is Bart Tittle and he can be reached at (800) 929-0561 or by email at btittle@tri-liftnc.com. Tri-Lift NC can now provide new/used forklift equipment sales for BYD, CLARK and Linde in South Carolina. To celebrate the additional territory, Tri-Lift NC Inc is offering 10% off any competitive forklift rental rate currently being paid by customers if that rate is supplied in writing. 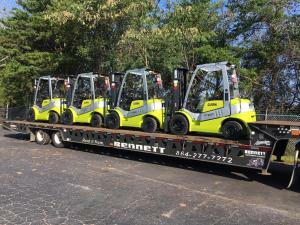 With over 300 units in the rental fleet, Tri-Lift can support a variety of forklift and aerial lift rental needs.